Nissan vehicles are safe, reliable and continually innovative. Whether you drive a comfortable Nissan Altima, sporty Nissan Z or unique Nissan Cube, your automobile is a trailblazer in style and performance. But are you sure you’re keeping up with the right auto repair and maintenance services to ensure that your vehicle can keep up with your busy schedule? If not, we can help. Dave’s Ultimate Automotive is the best Nissan service & repair shop in Austin! At Dave’s Ultimate Automotive, our Nissan repair experts know just what your car needs to stay running right on the road. Our mechanics are highly trained ASE Certified Technicians who are experienced at servicing, repairing and maintaining all years and models of Nissan vehicles. We have the latest, state-of-the-art automotive technology and diagnostic equipment that rivals the dealership, making us your friendly dealership alternative in Austin and Pflugerville, TX! We guarantee all Nissan repairs services with a nationwide warranty! 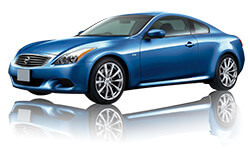 All of our Nissan repair services are guaranteed by a nationwide warranty. When you bring your vehicle to Dave’s Ultimate Automotive you can be confident that it is truly in the best hands. We also are happy to provide free vehicle safety checks on your car’s air conditioning, brake system, alignment and check engine light, further helping you and your family stay safe on the road! When you bring your Nissan car, truck, SUV, minivan, crossover or hybrid to Dave’s Ultimate Automotive in Austin and Pflugerville, TX, you’ll be greeted by one of our friendly service advisors. We are happy to answer any auto repair or vehicle maintenance questions you have, provide you with a reliable quote and guide you through our Nissan service and repair process. You’ll know your vehicle is in the best hands because in addition to having your car repaired by highly qualified, professional mechanics, we guarantee all of our Nissan repair services with Dave’s Nationwide Warranty! Getting your Nissan serviced in Austin is easy. Being a local, family owned and operated auto repair shop in Austin and Pflugerville, TX, we understand that getting your car repaired or serviced isn’t always easy. At Dave’s Ultimate Automotive, we are dedicated to making your Nissan repair experience as convenient and enjoyable as possible! That’s why we offer free vehicle safety checks on your vehicle’s brake system, air conditioning, alignment and check engine light. That’s also why we offer free Wi-Fi Internet in our decorated waiting area, and a free shuttle service to get you where you need to go! Dave’s Ultimate Automotive has 3 convenient locations – one in North Austin, Central Austin and Pflugerville – so top quality Nissan services and repairs are never far away. We invite you to stop by, give us a call, or easily schedule your next auto appointment online today!